If you did not know yet, the capital city of Indonesia is Jakarta. It is +7 GMT. Currently their President is Susilo Bambang Yudhoyono and before arriving in this country you should change some Indonesian rupiah from one of your major banks or money exchange. In Indonesia, they have several other local dialects. Otherwise, they use Bahasa Indonesia, English and some places Dutch and Javanese. Their people beliefs and religions are primarily Hinduism, Buddhism, Roman Catholicism, Islam and Protestantism. There are two main airports, one in Bali called Denpasar (DPS) at Ngurah Raj and the other in Java, Jakarta (CGK) at Soekarno-Hatta. The Indonesian coastline is about 54 thousand kilometers and they have a population of 200 million as of 2008. You are recommended to visit Indonesia from May to September. Places to see with famous tourist attractions are Bali, Ubud, Jakarta, Kalimantan and North Sulawesi. Indonesia in the coastal areas are hot and humid throughout the year. From June to October, it is their dry season. Otherwise, from November til March, you will expect to be in a rainy season, usually tourist avoid these season as the weather is rather grey and gloomy. You will not believe this number: 17,508. This is the total number of islands in Indonesia. 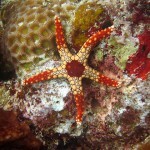 People usually visit the main five large islands and some divers do go to their smaller size islands for sea sports, surfing and diving activities. 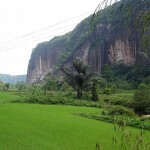 For example, Kalimantan is the biggest with area of up to 530,000 square kilometers. Others like Sumatra and Papua is more than 400,000 square kilometers respectively. Java and Sulawesi are much smaller in comparison but overall they are about 150 thousand square kilometers respectively. 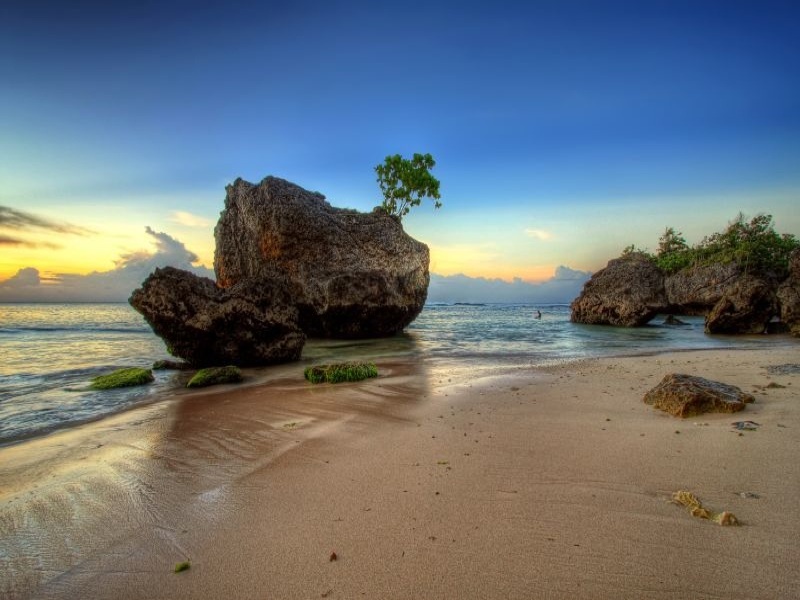 The island of Bali is about 5 million square kilometers in area but this is an amazing paradise. 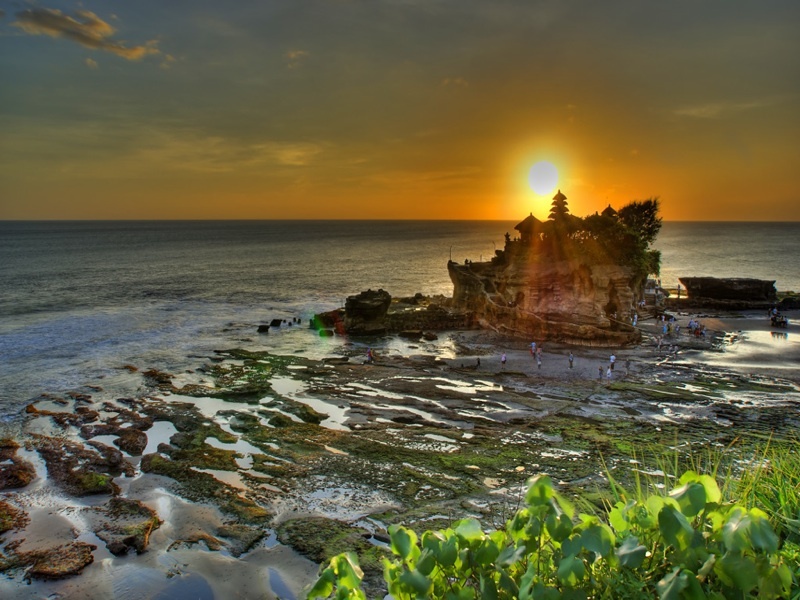 You must see places such as the Ubud, Sanur and Kuta Beach. 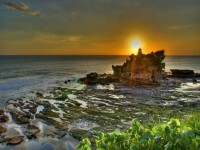 People living in Bali speaks Balinese, English as well as Indonesian. 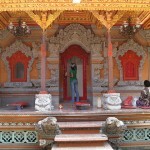 There are slightly more than three million people living in Bali, about eighty percent are Hindus. Bali has many fascinating celebrations and festivals around the year. This is one of the marvelous cultural aspects about seeing the place and its people. If you like lakes, the four main ones to see are Lake Beratan, Lake Buyan, Lake Tamblingan and Lake Batur.